Grew up… protecting childhood friend Shiori Takatsuki. While the two girls were close as children, they became estranged a few years into middle school. Now, they haven’t talked for years. Living… at Ohtori Academy, an elite institute full of many secrets. Among Ohtori's mysteries is Anthy Himemiya, the mysterious Rose Bride. The student council fights duels over her, attempting to win a power that could revolutionize the world. Profession… high school student. Member of the student council, captain of the fencing team, and a part-time model to boot, Juri is idolized by nearly everyone around her. Interests… fashion, fencing, and bowling. No matter what Juri does, she's good at it. While she has no interest in Anthy or the power of revolution, her fencing skills make her a formidable opponent in the student councils' duels. Relationship Status… the bane of her life. In middle school, Juri was involved in an odd love triangle with Shiori and a boy named Ruka who was the fencing captain. Shiori believed that Juri was in love with Ruka, but Juri said she "never had any feelings for him. Not now, not then." Rather, the picture Juri keeps in her locket is not one of Ruka, but of Shiori. Challenge… coming to terms with her feelings. Juri still harbors feelings for Shiori, but after Shiori deliberately tries to hurt her by dating Ruka, Juri can't help admit that her former friend can be "cruelly innocent." Personality… dignified and outwardly strong, but cynical and deeply bitter. Due to her troubled relationship with Shiori, Juri has come to believe that "there are no such things in this world as miracles." 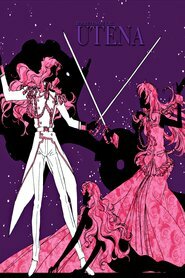 When Utena Tenjou enters into the duels over Anthy, Juri is instantly irritated by her naive idealism – especially when Utena, as if by miracle, begins winning. Juri Arisugawa's popularity ranking on CharacTour is #882 out of 5,000+ characters. See our top-ranked characters and read their profiles.